North Reading, MA–May 2007– B&W Loudspeakers, the British manufacturer recognized internationally as one of the world’s leading sources of loudspeaker technology, has launched the fourth generation of its hugely popular 600 Series. Incorporating technologies from the firm’s reference-standard 800 Series, the improvements represent a significant step forward in this price class. Each time the Bowers & Wilkins Steyning Research Establishment undertakes a redesign of the 600 Series they understand fully that they must produce something of a minor miracle in order to best their own previous standard. Through three generations, they have raised the bar successively on what could be accomplished in modestly priced loudspeakers–each time achieving greater worldwide critical acclaim and commercial success. While every price tier has its unique challenges, markedly improving performance within the necessary constraints of a limited budget is perhaps the toughest challenge of all. With the latest 600 models, Bowers & Wilkins is proud to say that their colleagues at Steyning have done just that. These new models testify to the remarkable pool of talent and resources that makes Bowers & Wilkins a singular global brand. The new 600 Series is nothing less than a complete top to bottom redesign, incorporating many of the leading edge technologies developed for the flagship 800 Series, with truly startling results for the price class. The line has been focused down to fewer models to suit current market requirements, each model having obvious “best in class” appeal. New finishes and more contemporary, refined cosmetics complete the package. The reason behind the tremendous value offered by the new 600 Series is that Bowers & Wilkins has made a significant investment in a new purpose-built factory in China. To clarify: These are not OEM-sourced products! Bowers & Wilkins factory managers and engineers have spent more than two years supervising construction of this first-class manufacturing plant and training the operating staff. It is Bowers & Wilkins owned and managed with state-of-the-art production lines. 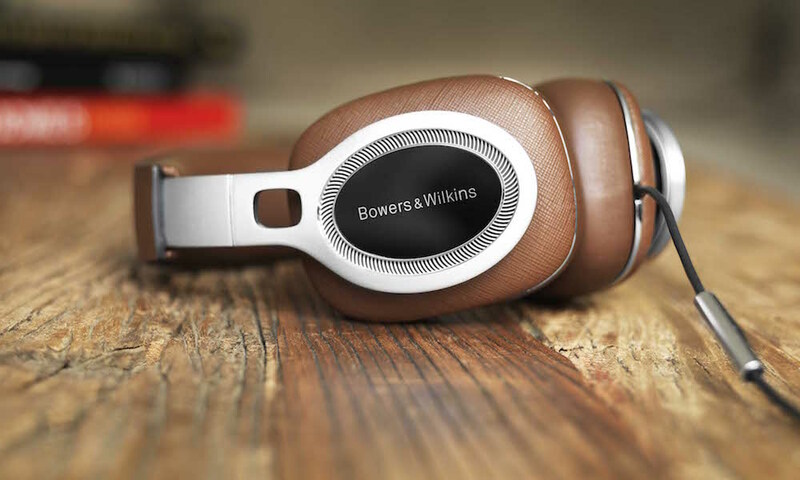 In contrast to the many other companies that have moved production to third-party vendors in China to decrease costs at the expense of quality, Bowers & Wilkins ambition here was to put more content in the product at this price level. The results speak for themselves. 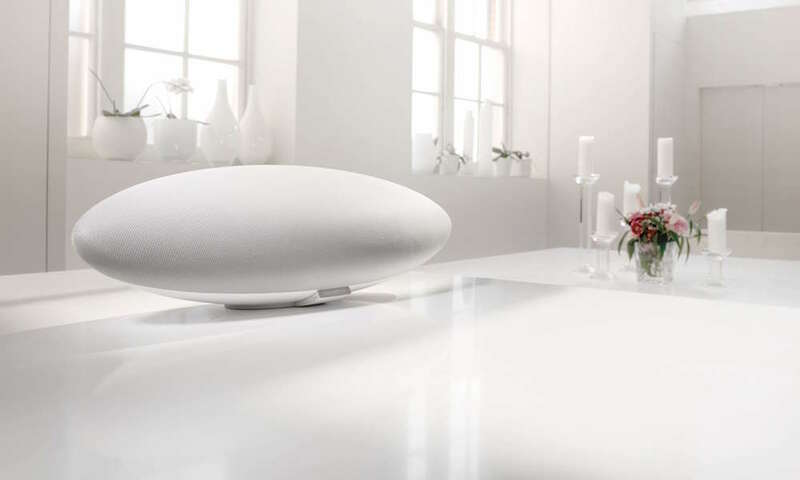 Bowers & Wilkins Flagship Technology Made Affordable. Starting at the top, the new 600 Series Nautilus tube-loaded tweeter has been completely redesigned. A powerful new neodymium magnet replaces the ceramic magnet used in the past. The tweeter’s smaller size allows it to be placed closer to the midrange driver for more seamless integration and vertical dispersion, with resulting improvements in imaging. The new tweeter also makes use of single layer, edge-wound ribbon voice coil wire, and a copper plate on the pole piece. These techniques put more copper in the voice-coil gap, increase efficiency, lower distortion and extend the high frequency response. The tweeter also makes use of rolled-surround technology, which allows greater frequency extension before break-up. Braided lead-out wires from the diaphragm improve reliability, and a new surround material achieves a lower resonant frequency, with the net result of wider overall bandwidth and power handling. Compared with 600 S3 tweeters, the response has more than doubled, to 50 kHz, putting any distortion well outside the audible range. The Kevlar bass/midrange units developed for this range utilize a fixed center “bullet” piece that improves smoothness and dispersion in the upper frequencies. High quality, die-cast driver baskets are employed to minimize chassis resonance and rear wave turbulence. The 683 and the HTM61 center have the added benefit of the FST (Fixed Suspension Transducer) midrange pioneered in the Nautilus 800 Series. This breakthrough design has proven unequaled for midrange clarity and dynamics. The 683’s twin woofers have been given an increase in magnet diameter from 100mm to 120mm, to provide higher sensitivity and tighter bass. The cone material used here consists of dual layers of aluminum and paper/Kevlar, in a technique known as constrained layer damping, to reduce cone breakup and lower distortion. The woofer chassis is die-cast and features an open design with rounded support legs to reduce viscous drag. 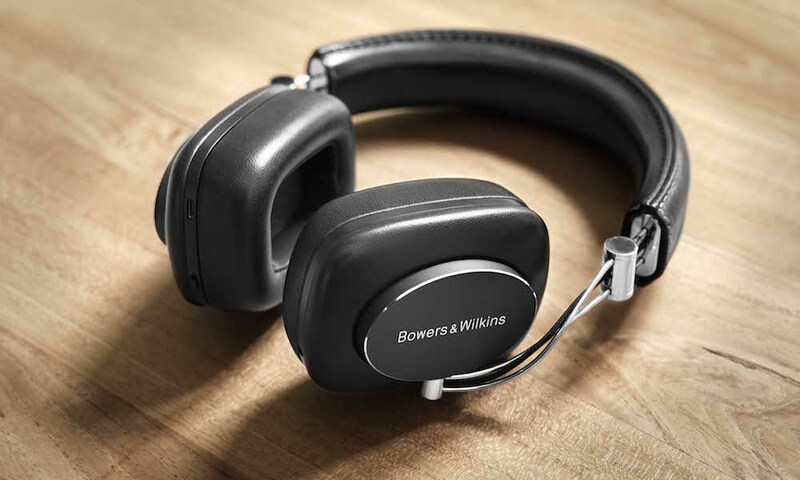 The many driver refinements have allowed Bowers & Wilkins to employ minimalist first-order crossovers, like those in the 800 Series, built of premium quality components that were selected through extensive listening tests. Fewer components of higher quality translate directly to less signal degradation, with improvements in every aspect of performance. Cabinet construction has also been improved by increasing the baffle thickness by 30%. This strengthening provides a better mechanical foundation for the bass driver(s), and reduces panel bending at higher volumes. The benefit is better bass definition. Immediately noticeable are the many enhancements to the look and feel of the new models. Soft-touch baffle paint, screw-less driver trim rings, and an elegant diamond cut logo on a brushed aluminum surface, all give an amazingly high quality feel to such a reasonably priced range. A Shorter, More Focused Line-up. 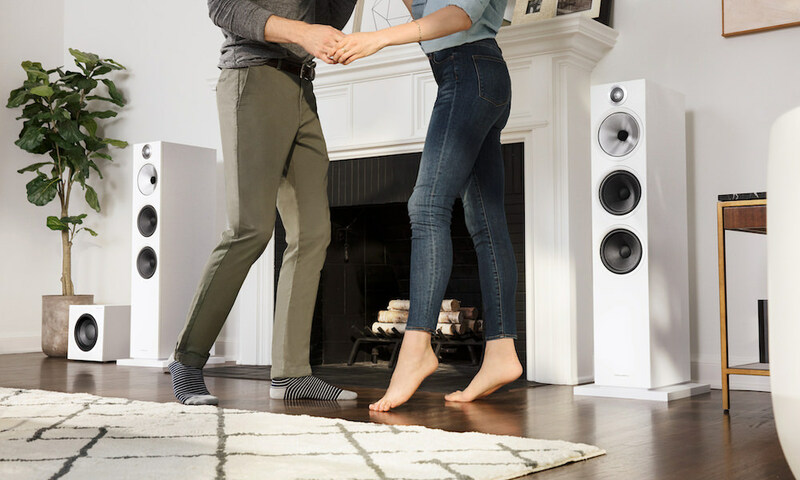 The latest 600 range has been streamlined to provide you with a full range of choices for both home theater and music system applications. 686 — $450/pair. The new entry level model is a very compact (10.4″ x 6.7″ x 9.8″ HWD) two-way vented design with a 5″ Kevlar bass/midrange driver and a 1″ Nautilus tube-loaded aluminum dome tweeter. A remarkably solid performer that will challenge much larger designs, the 686 will sit happily on a bookshelf or stand, and comes with a wall bracket as well. 685 — $600/pair. In a somewhat larger enclosure, with a 6.5″ Kevlar cone bass/midrange driver and the 1″ Nautilus tube-loaded tweeter, the 685 is simply the best value bookshelf Bowers & Wilkins has ever made, replacing the 601S3 and the 602S3 with one elegant package. 684 — $1,000/pair. Next up in the range is a two-and-half-way, vented-box, floorstander that features two new 6.5″ Kevlar cone bass/midrange drivers. The 684 is easily best in class at this price point, with a transparent, dynamic presentation. Its sophisticated cosmetic detailing and slim profile give it strong visual appeal. 683 –$1,400/pair. At the top of the new 600 Series is an impressive floor standing speaker. The 683 is a true three-way vented-box system with two high power, low distortion 6.5″ aluminum bonded to paper/Kevlar bass drivers. The first of the 600 series to receive the coveted 6″ FST midrange driver, the 683 is rounded out with the same 1″ aluminum tweeter and Nautilus housing. Home Theater Takes Center Stage. While the new 600 models are superb music reproducers, particular attention has been paid to the home theater aspects of the range. HTM62 — $400/each. HTM61 — $600/each. Bowers & Wilkins provides two system-matching options for the all important center channel position. The first, the HTM62, is a two-way vented-box system with dual 5″ Kevlar bass/midrange drivers and a 1″ Nautilus tube-loaded aluminum tweeter. The more potent HTM61 increases the SPL capability of the system with a true three-way vented-box system comprising one 6.5″ Kevlar bass/midrange, a 6″ FST Kevlar midrange, and a 1″ Nautilus tube-loaded aluminum tweeter. The HTM61’s performance is simply amazing and offers a clear step-up opportunity. To handle deep bass duties there are three new subwoofers that offer very compact dimensions and stylish cosmetics, yet really deliver the goods sonically. Each uses rugged driver cones formed from a precise mix of paper pulp, Kevlar fibers and resin. Two hundred watt Class D ICEpower amplifiers provide clean, fast power while remaining cool and ultra-solid cabinet construction keeps the sound free from coloration even during the most demanding passages. ASW608 — $450/each. ASW610 — $600/each. ASW610XP — $1,000/each. First in the subwoofer line-up is the ASW608, with a long excursion 8″ bass driver and retailing for $450. The output capability of this quite small design is -6dB at 25Hz, from an enclosure measuring only 10.2″ x 10.2 x 13″! In the middle spot is the ASW610 with a robust 10″ bass driver on a footprint only slightly larger (12.2″ x 12.2″ x 14.8″). Once again, Bowers & Wilkins achieves more output from a smaller enclosure. 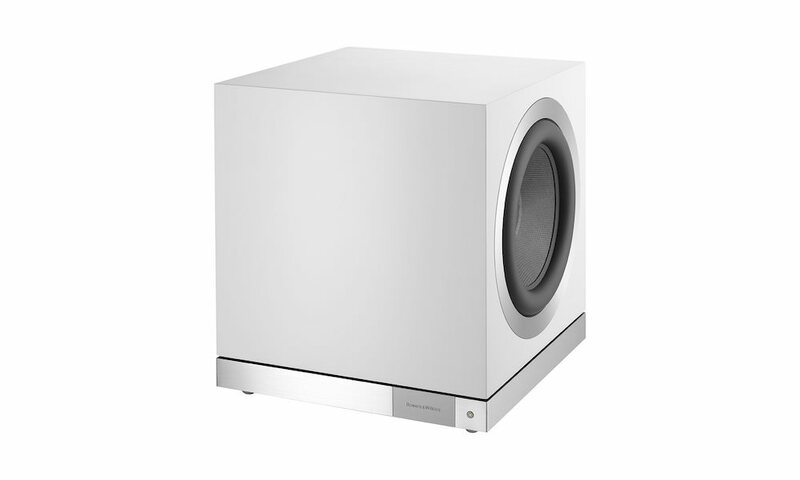 The ASW610 provides an excellent -6dB at 20Hz and sets a new benchmark for a modestly priced sub. For the largest theaters employing the 600 Series models, the ASW610XP is the perfect match. It features a superb new 10″ driver driven by two 200W Class D ICEpower amplifiers connected to its dual voice coils. This technique provides greater control and extension, to a truly impressive 18Hz, and is part of the reason the ASW610XP is Bowers & Wilkin’s best subwoofer effort yet at $1,000 retail. DS3/CDS3 — $400/each. To finish off the 600 Series home theater packages, Bowers & Wilkins has upgraded their very popular DS3 on-wall surround speaker, as well as its recessed cousin, the CDS3. Sharing all the new technologies developed for the range, this is a selectable dipole/monopole design with a 5″ Kevlar bass/midrange driver, two 3″ midrange/ tweeters and the new 1″ tweeter. The new 600 Series will be available initially in two premium finishes: black ash and red cherry. A third finish, the very popular wenge, will be added later this year. Bowers & Wilkins will begin shipping the 600 Series in two phased launches. Phase I — Available June 1, 2007. Shipments will focus on music systems, with the top of the range 683 and the two bookshelf models, the 686 and 685. Also at this time the HTM62 center channel, CDS3 recessed surround, and DS3 on-wall (black only) will ship. As noted, finishes available initially will be black ash and cherry with wenge to follow later in the year. Phase II — Available July/August 2007. 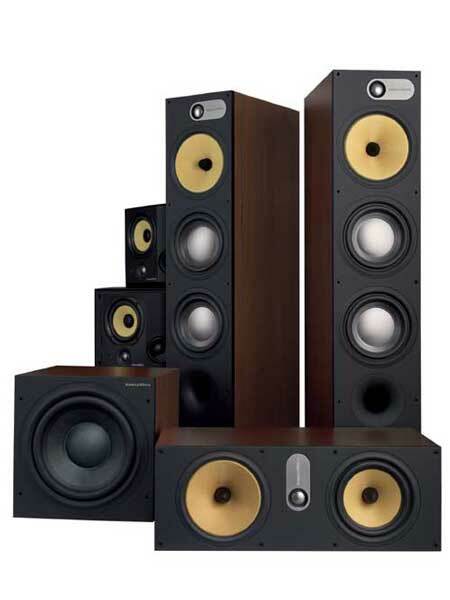 Bowers & Wilkins will add the 684, HTM61, ASW608 and ASW610. The ASW610XP will follow these models 30 to 60 days later.